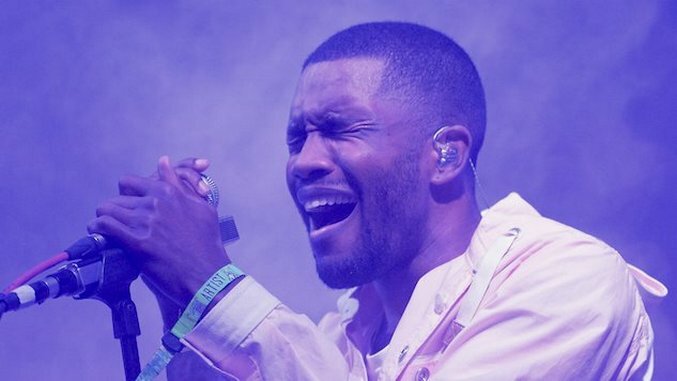 Frank Ocean Releases Dreamy Cover of Breakfast At Tiffany's Classic "Moon River"
Frank Ocean has dropped a cover of “Moon River,” as made famous by the 1961 film Breakfast At Tiffany’s. “Moon River” was composed by Henry Mancini and it won an Oscar for Audrey Hepburn’s famous performance of the track in the film. Ocean offers a smooth R&B take on the track, which was originally done acoustically, but he preserves the minimal, intimate quality of the song’s instrumentation while experimenting with the layering of his rich, soulful vocals. Ocean recently collaborated with Kendrick Lamar and N.E.R.D for track on N.E.R.D’s latest album, No_One Ever Really Dies, and in November, he said that he was sitting on a full album of unreleased material, but hinted that it may never see the light of day. Earlier this month, Ocean interviewed Call Me By Your Name’s Timothée Chalamet, who’s a big fan of Ocean, and they talked about Chalamet’s recent films, his high school rap videos, ‘80s fashion and their favorite films. Listen to Ocean’s cover of “Moon River” below.